Although it is never advisable to leave a dog alone in a car for any reason, those of us with dogs know that it happens from time to time. We need to run into the store for one thing, or an unexpected situation causes us to have to leave our furry buddies alone for just a few minutes. When those “few minutes” turn into a longer time away from the car, or when the weather is especially warm, dogs can suffer from heat exhaustion or even die in a surprisingly short amount of time. 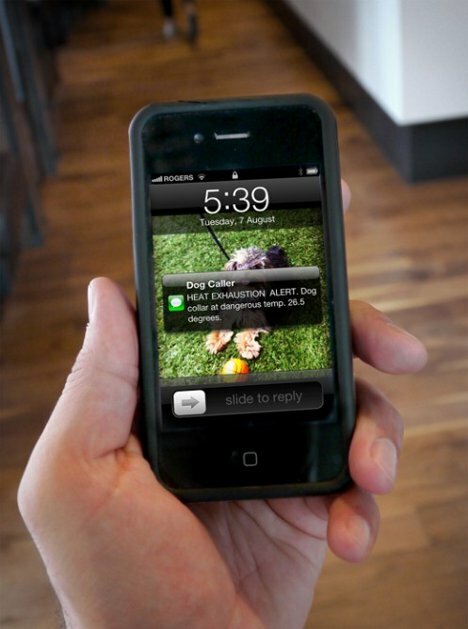 The Dog Caller is a high-tech collar that can help you avoid the devastating death of a beloved pet. 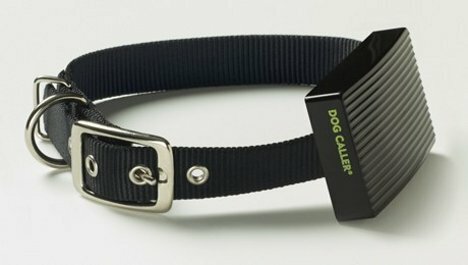 The Dog Caller is a fabric band with an attached black box that goes around the dog’s neck just like any other collar. If you really have to leave your dog in the car for some unavoidable reason, the Dog Caller keeps track of his temperature. 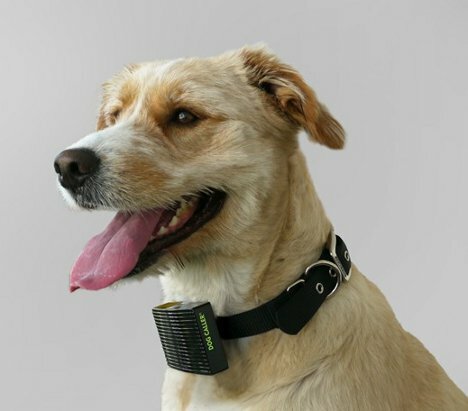 The built-in SIM card and coded chip send you a text message when Spot’s temperature gets too high – around 80 degrees F or 26.7 degrees C.
Unlike some of the designer dog goods out there right now, the Dog Caller is expected to come at a reasonable price: around $20 US. Rethink, the ad agency that developed the idea along with the Toronto Humane Society, stresses that the Dog Caller isn’t meant as an excuse to leave your dog in a hot car. But in case you forget he’s in there or some kind of emergency forces you to step away for a few minutes, this high-tech tool could help you avoid a tragic accident. See more in Various Gizmos or under Gadgets. August, 2012.